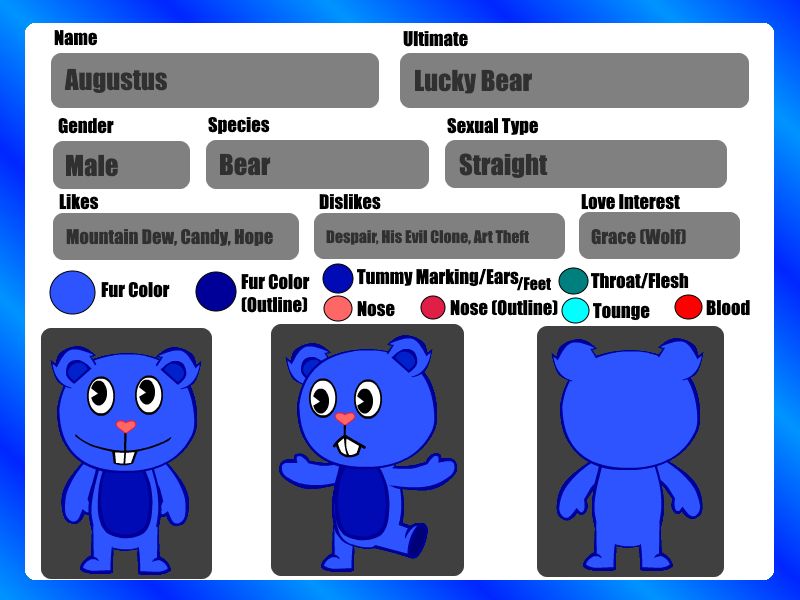 Augustus [The Ultimate Lucky Bear] was the very first HTF OC Character since in the year of 2014, He was formally named "Hellobear" as his nickname. Then he changes about every year. He used to be as an Animator on the terrible and most hated site where the cringeworthy child abuse related videos came from but now he retired as an Animator and became an Hero. Fun Fact: He loves Sour Salt Ice-Cream because of Egg-guy.